Fishing season is well upon us, and if you haven't yet done so, it's time to reevaluate this year's tackle box. While muskies are often known as an ugly version of northern pike, they are a beautiful species that are incredibly fun to fish, especially for those who are often around local muskie populations. We recently published an article discussing the habits and patterns of muskie. If you're fishing for muskie, this is a great starting point, as it's always best to know more about the fish themselves prior to selecting your bait. In this article, we will focus more on the latter, helping you to optimize your tackle box for a trophy muskie. 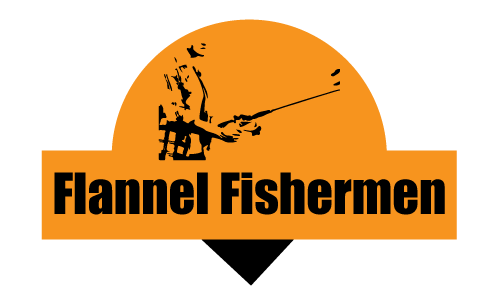 Below we will discuss some of the more popular bait and lures that are used for fishing muskie, with an emphasis on our own recommendations, as well as value. Value can often be underrated, as you will learn more about your local fishing grounds and techniques that work for you personally, so it's best not to fully break the budget at the very start of the season. In any case, please consider our reviews of the best muskie lures below, and if you have further suggestions, please feel free to comment! This is a classic for muskie fishing, and the spinner blade alongside the hair/feather skirt makes for an awesome combination. We've shown very similar lures in other articles, and in general, this setup is effective for most species of fish. However, since muskie are a lot larger, the Mepps Magnum Musky Killer will run larger than most other spinners you'll have in your tackle box (depending on what you usually fish of course). Mepps is a well-known brand when it comes to pike and muskie fishing, and this is especially true for their bucktail lures. The easy-to-change bucktail offers some flexibility, the #7 brass blade provides great thumb and flash, and it's also outfitted with a nice heavy-duty VCM 5/0 cone-cut treble hook. This lure is best suited for slightly shallower conditions, as it's maximum depth is limited to about 8 feet. That being said, this range of depth should not be a problem when fishing for musky, especially if you are in or around some heavy cover where they are extra effective. 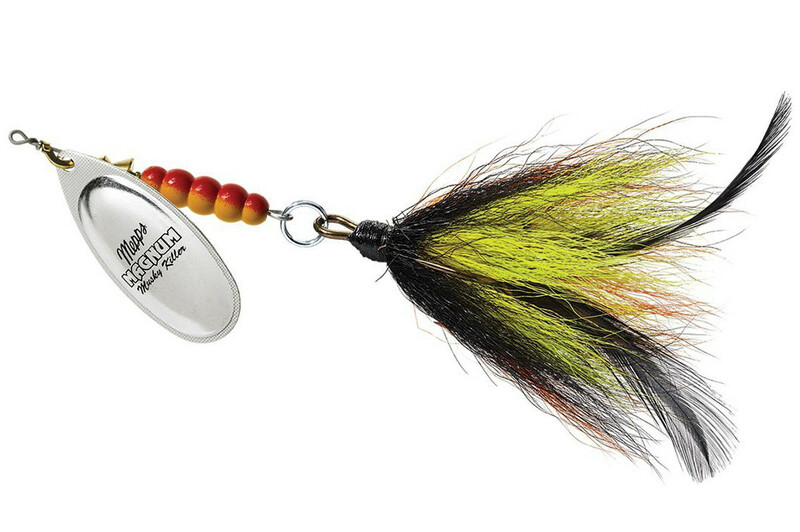 Overall, we recommend this lure for anyone heading out to catch some muskie. It's a bit bigger, so you may be "limiting" yourself to some of the bigger fish, but that isn't really a bad thing. It's also very easy to use, so no matter what your experience with muskie is like, you should be able to give this one a try with confidence. Unique action is a bit slower, but still very apparent, making it irresistible to muskie. No well-defined technique to employ, so may take some time to develop your own retrieval technique. May have to swap color scheme depending on light conditions, but this is a finer point. If you like using Powerbait or other soft plastic lures for bass, then you will love this Musky Dawg 4-pack. These plastic-elastic lures have incredible life-like action and are generally quite a bit larger than Powerbait lures. The Mizugiwa Musky Dawgs are 7-8 inches in length with the tail stretched out, so they're a little bit shorter than that when sitting at a natural position. They weigh 45 grams, so while still lightweight, they do offer some meat to allow for further casts and a heavier retrieve. These soft baits are great in any conditions, but especially in heavy cover. They aren't as easy to control the depth with compared to something like a crank, but this can work to your advantage if you want some retrieval flexibility cast-to-cast. Use these for trolling, slow jigging, or when the muskie seem to be a bit more picky about what they're striking. Overall, these are nice soft baits that offer great value due to the 4-pack. They're well-known to work well when fishing muskie, they do a great job simulating prey, and you can change your style of retrieval without necessarily changing the bait. 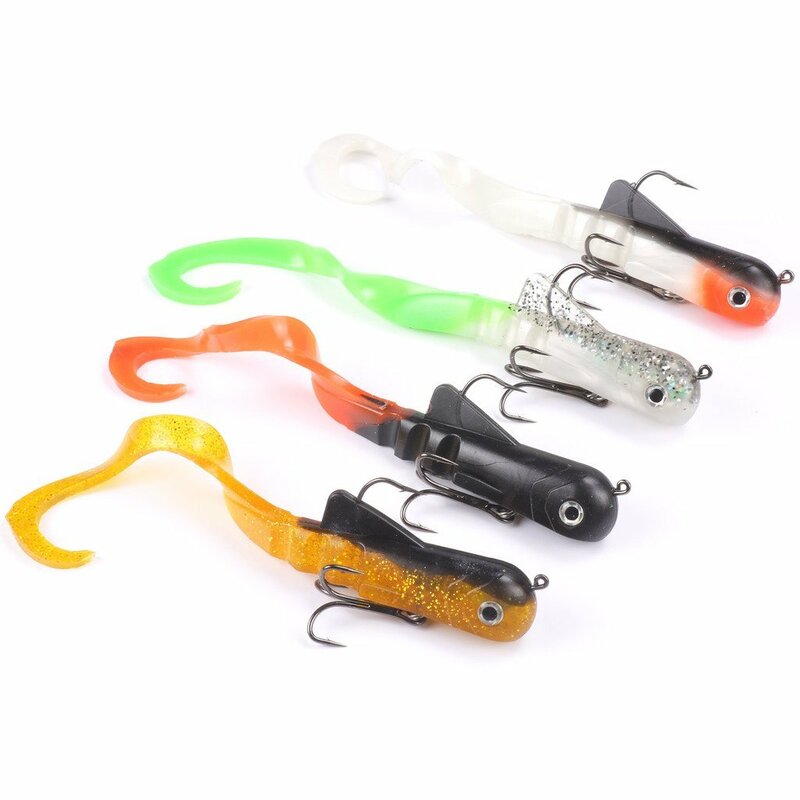 We recommend these for anyone who plans on spending some time fishing muskie and know they will be casting into at least a few different spots. While it can be used for other species like smallmouth bass, the 9" length makes it a bit les versatile and more specific to musky and pike. This is arguably the most classic muskie lure you can get, which means it's stood up to the test of time, displaying ultimate reliability among anglers fishing for trophy muskie. The unique shape and wiggle seems to be extra enticing for muskie. The Suick Thriller is a floating lure that has great jerkbait-style action. You can find very similar models that are weighted and offer a little more flexibility with the depth, but most anglers find the standard Thrillers to be way more than satisfactory. It basically appears as an injured prey fish sitting near the top of the water, and the eccentric action helps to further mimic this as well. Truly irresistible for the muskie! The color scheme above is extremely versatile, and we usually find simple colors work best in most situations anyway. If you want to really maximize your bites, you can try and match the colors to prey fish that are commonly found in the waters that you fish. However, like we said, we find the color scheme above to work well in most situations. One other cool aspect of these lures is that you can provide ample action to the lure without having to reel it in too much. This means you can explore/test one particular area for a longer amount of time without having to cast multiple times, which makes it especially nice if you're eying a small opening in some vegetation. I have a heavy bias towards the Dardevle spoon lure. This was one of the first lures I ever used and I have always found it to be reliable. It's something I always have in my tackle box, as it's a reliable lure that can be used for many different fish species including muskie. Personally, I've used it more for bass, but they're definitely great for muskie as well. This is a spoon that has stood up to the test of time, and you know when classics like this are still very popular, that there is a good reason for it. This red and white color scheme is popular with many different fishing brands, so you don't always need an Eppinger. I usually go with Eppinger though just because I'm a little superstitious about it, and slight differences in manufacturing could potentially alter the action, so at this point I like to stick with Eppinger since I know it works. The Eppinger red is usually a little darker than the red that other brands provide, which we like, but again, you can find this general color scheme with many different brands. Muskie seem to like the red as well and is one of the more robust colors to use in the sense that it can work at any time of day in any type of light. This spoon can be cast in any water where muskie are present, but you can increase your chances of success by casting in or around vegetation. While muskie are large fish and can handle a much larger lure, it's not always necessary to use a larger lure, so if you only have a smaller Dardevle spoon give it a try anyway, especially when casting over vegetation. If they're hungry, they'll bite! The risk of snags goes up with this tactic, but high risk - high reward! While the 4 lures featured above are our favorites, you can also have a lot of success with other lures as well. Cranks are extremely versatile and should be present to some degree in every angler's tackle box. Not only is the lure itself good across many species, it also allows you to cover a large area with your casts, which could be a good starting point if you're fishing unfamiliar waters. Cranks can be used any time of the season, but they probably require the least amount of skill and experience during the summer when they can perform better from simple casting. In this case, we recommend casting over or around any type of underwater structure, such as rocks, ledge, or vegetation. Erratic action will further entice the muskie, so try a more erratic retrieval technique if you aren't feeling the bites. Better yet, bumping the crank off objects will definitely make this action way more pronounced. Later in the season you can still do the same thing with some success, it's just not as fruitful as the summer. If possible, we would suggest using cranks if you're planning on trolling a large area. At this time of year, especially with crankbaits, you may have to put a bit more work into getting the bait in front of the muskie, which is why trolling can be a good technique. Spinners can work well, too. We sort of covered this with the Mepps Magnum Musky Killer, but any variation definitely has potential to work. The Musky Killer we featured above is fairly large, but you don't always need a large lure for musky, especially when they are more active and you're using something with as much flash and vibration as a spinner. If you're casting around vegetation, don't be afraid to try a standard spinner that you may have used for bass or other species. You can retrieve the lure through cover, or try a more jig-like approach where you home in on specific areas. Ideally you will use a weedless spinnerbait to help avoid snags in cover, and you don't have to worry about the powerful chomp of a muskie being deflected by the guard. If you're using a spinner that is considered relatively light for muskie, just make sure your line is an appropriate weight for the size of fish you're going after, for example, you might want to consider a 40-80lb braided line. Live bait is always a premium choice for any type of fishing. They are exactly what the muskie want and are arguably the most attractive type of grub for them, with suckers being the most popular live bait. However, there are some serious precautions you should consider prior to rigging your live bait. Generally speaking, muskie are more likely to immediately swallow live bait upon striking. If they swallow the bait, you'll be lucky if the muskie can be released alive. Therefore, if you intend to use live bait for fishing muskie, it is essential that you use a quick-strike rig that allows the rig to quickly release from the live bait and stay in the mouth, rather than everything being swallowed into the stomach. For more information about quick-strike rigging, check out Thomas Allen's detailed DIY tutorial below! So if live bait is essentially what the muskie want, why don't more anglers use it? The reasons are multi-factorial, but the main reasons are increased chances of actually killing a muskie from swallowing the rig, difficulties in actually setting up the proper rigging system, and it's also easier to throw a lot more casts and cover a much greater area with artificial lures. The latter will expose your lures to more muskie, which some find to be most valuable when fishing for a lone trophy muskie. Overall, muskie are some of the most exciting species to fish. They're huge, they fight hard, and finding a trophy muskie is a fun challenge. In fact, after a few times fishing muskie, many anglers tend to go after the lone ones, as they're usually the biggest. So it isn't always so much about quantity as it is quality. There are tons of lures that will work or you, and the ones featured in the table above are our favorite. That being said, if you really want to spice up your strikes and hooksets, go with topwater lures (the Suick Thriller we reviewed above is perfect for this). 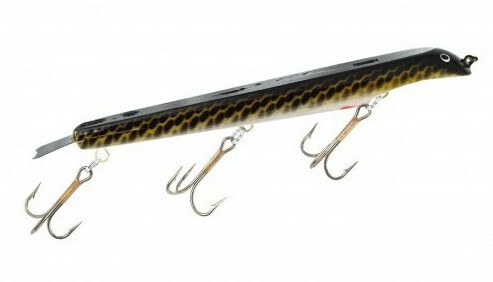 Muskie love topwater prey and they definitely cause a ruckus when striking a topwater lure. One epic hookset will be enough to keep you coming back for seasons!